Here at Duration Windows we know that it is the customer that runs a business. Without a friendly, knowledgeable and comprehensive customer focused service and support system you will go nowhere fast. We are aluminium trade manufacturers and we don’t believe in the hard sell. The staff in our sales office will not try to sell you our products, instead they will provide you will all the information and advice you need to make an educated decision and choose the right product for you. Why not visit our Grand Design Showrooms to touch, feel and see our products in action. Contact us today for trade prices and free no obligation quotes. 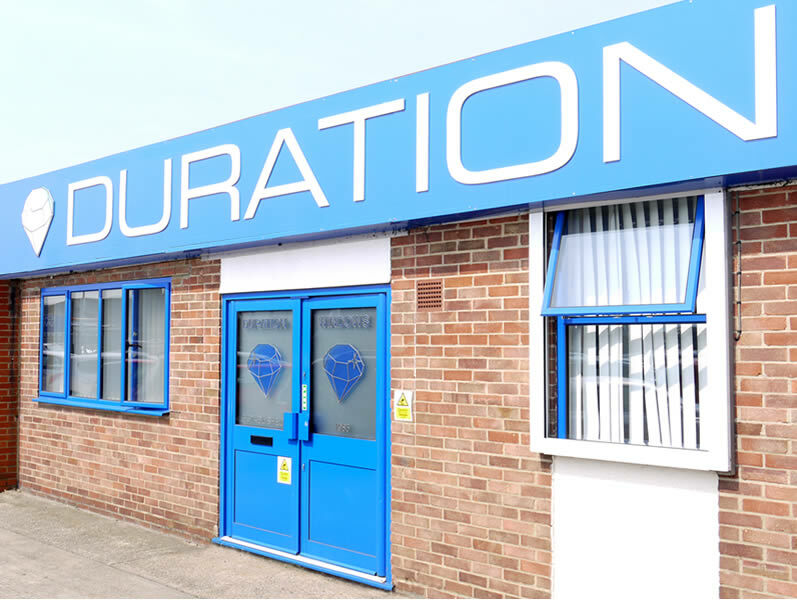 Our main offices are located on Charfleets Industrial Estate on Canvey Island and are open five days a week. Please contact the office for quoting, ordering, sales, after-sales and technical support. To preview our products and visit our showrooms please contact our Grand Design Showrooms. Please contact the office for a quote, technical support, to place an order, for after sales support, to speak to dispatch, or for other sales related enquiries. If you wish to come and visit us and view our products please contact our exhibition centre. By Car: Little over 25 minutes from the M25 junction 30. The postcode for your Sat Nav is SS8 0PQ. There is designated visitor parking spaces in our main car park, on the left hand side as you come in through the gates. By Rail: Approximately 45 minutes by rail from Fenchurch Street. Taxis are available outside Benfleet station. 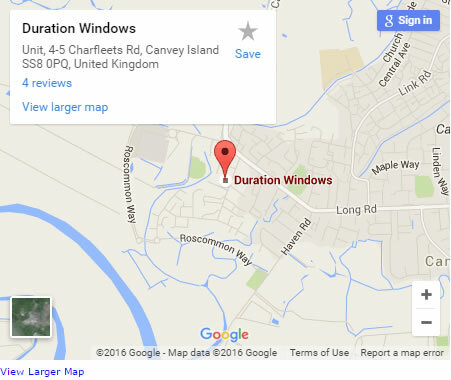 By Taxi: Approximately 5 minutes from Benfleet Railway Station. This journey would take around 11 minutes by bus or 37 minutes walking. Designated parking in the main car park and easy access by train. Free tea, coffee and water available. The conservatory entrance has a wheel chair ramp. Free advice on specifying, installing and costing our products. Get help and advice from our sales team. Get help marketing our products with; customised brochures, images for your company website, images for advertisement campaigns and corner samples for your showrooms and to your show customers. Get free no obligation quotes and run through your quote with a member of the sales team. Place orders and run through your order with a member of our sales team. Technical advice, after-sales support, specification and installation advice. Duration Windows are becoming more involved with the web community. You can now follow us on Facebook and Twitter, read our blog and watch our videos through our YouTube channel. Stay ahead, stay informed with 'Duration Update', our free all purpose newsletter. The latest information straight to your inbox.